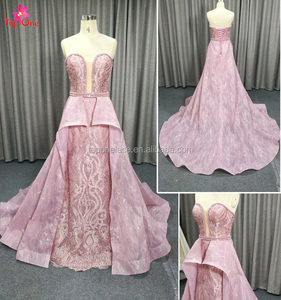 MOQ 1 piece wedding dress Production time 15-20 days as per designs, rush order please contact our service Payment method T/T bank transfer, Western Union, Trade Assurance on Alibaba, Paypal by credit card. If satisfied, please give us a good evaluation, If have any question about our goods, please contact us before leaving negative feedback. We will go through all the questions with you . these charges are not seller's responsibility. there might be different in color, because of the computer monitor settings. 4. Discounts : You will get some coupons after you place the order. 5. Door to door service: We will make sure that your promotional items will arrive as scheduled. Every company or customer has their own personal account manager. we have many wedding botiques in china lay in adjusted proportions, gorgeous decorations, elegant cut and strict abservance of quality and service. 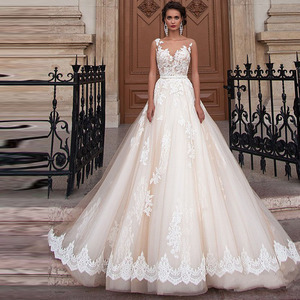 at baiyi you can find the trendiest and exclusive wedding dresses collections. 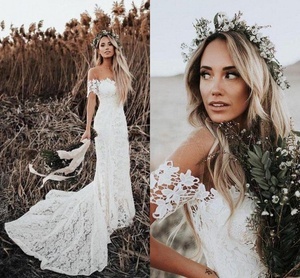 unique champagne color off shoulder long sleeve fairy tale mermaid wedding dress bridal wedding gown . yes,we can put your label on you dress when produce, and if it is our designs with your labels, you have to protect our designing right. in order to make the dress very fit with you return policy we relize that it is difficult to purchase a wedding dress over internet . secure on alibaba payment team deposit paid befor production. we can also provide oem and odm service, making clients private designs, adding clients dress labels and logos. but the fee should burden on you which includes the sample fee and the shipping fee. 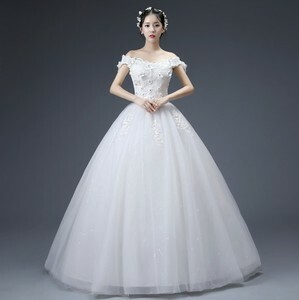 Alibaba.com offers 65,306 wedding gowns products. About 54% of these are wedding dresses, 44% are plus size dress & skirts, and 11% are evening dresses. A wide variety of wedding gowns options are available to you, such as crepe, organza, and satin. You can also choose from anti-static, anti-wrinkle, and eco-friendly. As well as from embroidered, plain dyed, and crocheted. 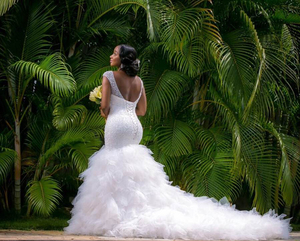 And whether wedding gowns is in-stock items, oem service, or make-to-order. 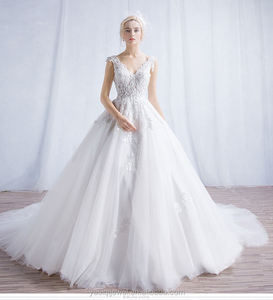 There are 65,306 wedding gowns suppliers, mainly located in Asia. The top supplying country is China (Mainland), which supply 100% of wedding gowns respectively. Wedding gowns products are most popular in North America, Western Europe, and Southern Europe. You can ensure product safety by selecting from certified suppliers, including 2,317 with ISO9001, 760 with Other, and 239 with ISO13485 certification.